A true time saver. No need to pH your medium or second guess testing kits. The optimal balance of micro organisms and beneficial bacteria to help your plants reach their genetic potential. Let SoHum take the guess work out of providing your plants essential nutrients. Our handcrafted, all-natural, bio-dynamic formula brings out the fullest flavors and finest quality from your crop. SoHum has exactly what plants crave so there is never a need for additional chemicals or nutrients. From seed to harvest, SoHum provides plenty to eat through vegetation or flowering. Inspired by True Living Organics (TLO), SoHum Living Soils™ (SoHum) will simplify the growing process, maximize yields, and allow for consistent quality in production. SoHum is a bio-dynamic potting mix developed to optimize the plants’ genetic potential. In cultivation, the term “bio-dynamic” applies to the understanding that a living soil with beneficial bacteria and fungi directly impacts plant development, emphasizing a natural approach to growing. 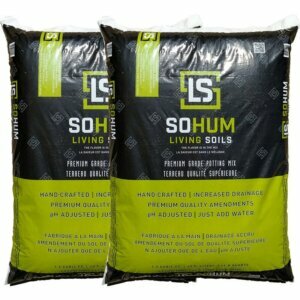 SoHum Living Soils® is founded on one simple truth: better soil makes it easier to grow just about anything. 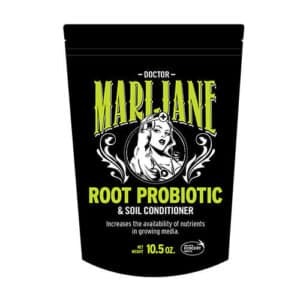 Some people have had great results using our products to grow fruits and vegetables, but our products have been specifically balanced to work best as a cannabis soil. Growers want to create bigger and better buds, so we give them a better soil. We have never relied on unnatural chemicals or harsh fertilizers that may damage the smell, taste, look, or potency of your harvest. Instead, we rely on a laundry list of natural ingredients that help you grow more impressive buds the right way. Our carefully cultivated mixture takes all the ingredients from nature that help cannabis grow, and it puts them together so you can stop wasting money on potentially harmful chemical fertilizers. How Long Does SoHum Last? One of the best things about using super soil is that it is not like some fertilizer that will simply be washed away during the next rainfall or heavy watering. The desired nutrients are in the soil itself, so they will fuel the plant much more efficiently. That means you do not have to spend so much time feeding the plant or changing out the soil. You no longer have to waste excessive time adjusting the pH of your soil, or flushing nutrients away if you have used too much of something. All you have to do is water, trim and train your plant. If you can stay on top of that, you are well on your way to a healthy yield of delicious cannabis. The benefits of Super soil from SoHum are many. When you save time by not worrying about the feeding schedule of your plant, you can focus more on making sure it gets the other natural things it needs too. Complement our amazing soil with the right doses of sunlight and water. Speaking of water, SoHum’s super soil stays moist and retains aeration over the course of time. Another key benefit is that you will save money when you no longer have to buy chemical additives. Cheap soils take a lot of additional time and effort before they can grow great cannabis, and some of those efforts may even be counterproductive. Save the time and headaches by contacting our friendly, experienced staff today.